I always appreciate brands that represent the typical British style and that capture the essence of the modern day gent, and this is something I feel Murdock London does very well. They're a relatively new brand to myself, which is why I wanted to share a few of their products with you. They were kind enough to send me their Cologne Collection - five of their signature scents, packaged in a box for the guy after a selection of different fragrances, for an array of events and purposes. Taking their main inspiration from British heritage and culture, Murdock have boxed together five colognes that smell very different to each other and that capture the British tradition of luxury men's grooming. The collection features 'Avalon' (clean, fresh with citrus notes) 'Black Tea' (perfect for fans of spicier, leather smells) 'Fougère' (the lavender and oakmoss give the freshness of the countryside),'Vetiver' (warm, earthy with woody notes) and 'Patchouli' (a velvety, bohemian blend of cardamom, jasmin and ylang ylang). They also offer full sized individual bottles for guys who may already have their favourite, but I really enjoy the opportunity to switch between them based upon the time of day and occasion and think the collection would also make a great gift. 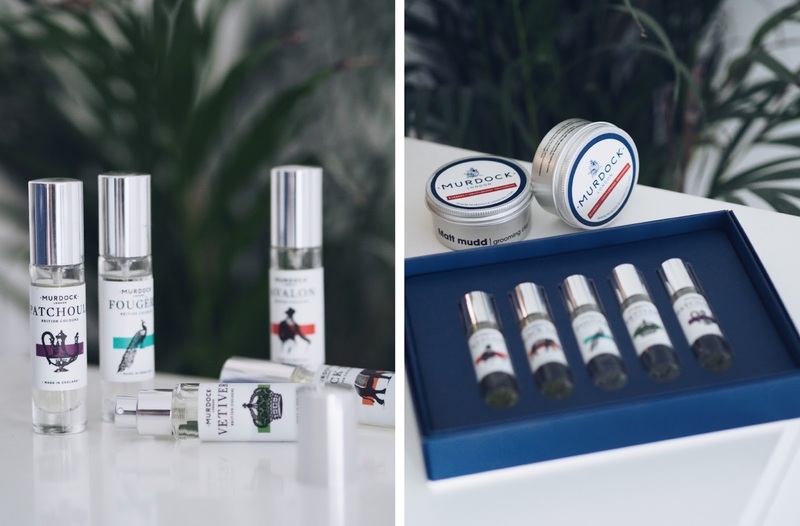 My personal favourite has to be 'Patchouli - which also happens to be the one I tried out on my recent visit to their barber shop on Regent Street. For those of you who don't know, Murdock also have a number of stores across London that offer a range of men's premium grooming services, including wet shaves, hair cuts and facials and I was lucky enough to be invited down to try them out. They're based across the city and are definitely worth checking out if you want that expert service and want to leave with that polished, well groomed look. I was also introduced to their hair doh shaping paste whilst there, and have been using it since as part of my grooming routine. They offer some of the highest quality products for us guys and are definitely a brand I'll be going back to. *Anyone buying any products for Christmas should place their order before Friday 15th December to guarantee delivery in time. Receive 25% off orders over £75 with code XMAS25 for a limited time.